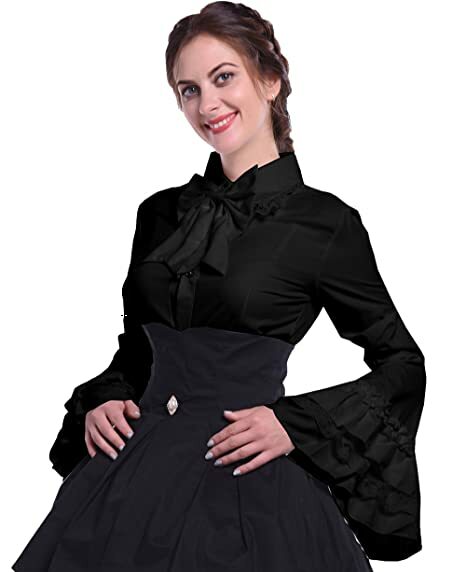 Ladies Steampunk fashion embraces many different styles of tops. Lace Steampunk blouses that give a nod back to the Victorian era are a wardrobe staple. Corset tops will bring out your seductive side. Steampunk shirts, like renaissance shirts or peasant tops, have their place too. A menswear inspired Steampunk vest is another popular top layer as well as bolero shrugs, crop sweaters, and draping shawls. With so many great choices, which one will you choose for your Steampunk costume?